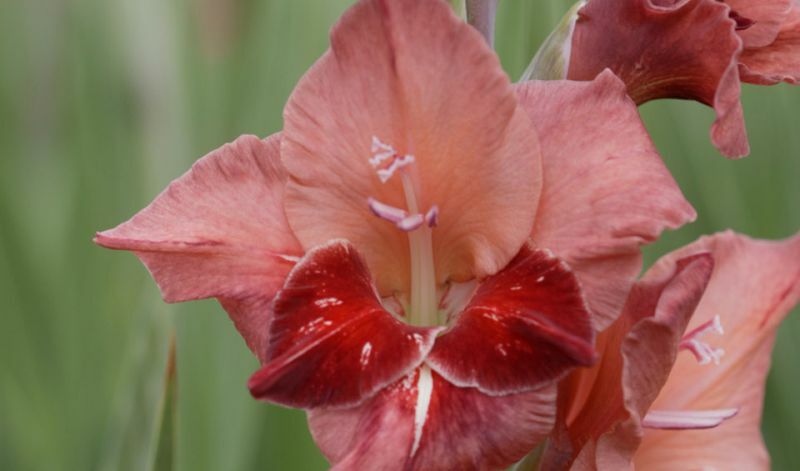 This group of gladioli consists of small-flowered hybrids in dramatic hues, usually with contrasting patches of color on the lower petals. The overal appearance make the flowers look like butterflies. In general they do not grow as tall as the 'traditional' larged-flowered varieties. Avalanche' (white), 'Camborne' (soft pink & carmine), 'Mykonos' (yellow & red) and 'Pamela' (coral-pink & yellow/red).